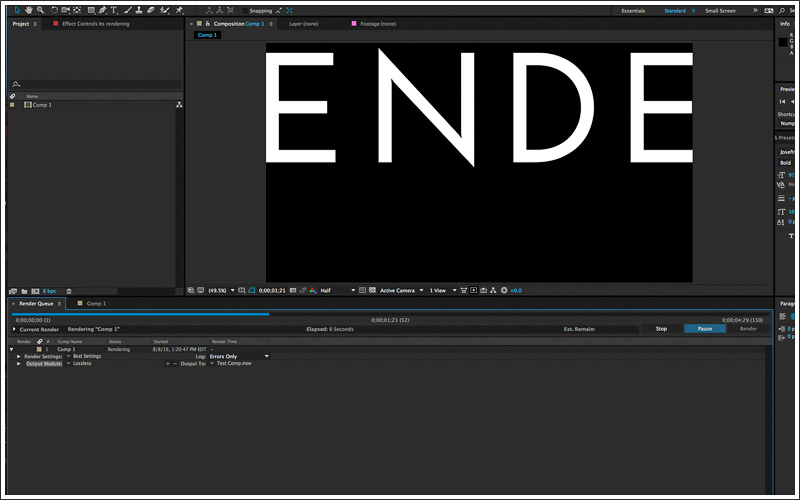 Saving and exporting in Adobe After Effects is essential, but one of the best feelings in the world is knowing that it’s time to render out your digital masterpiece. 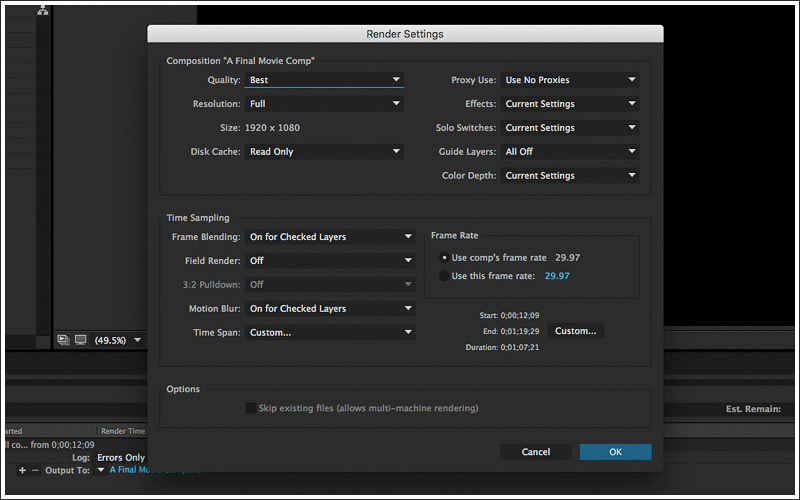 Here’s the best way to navigate the render module. 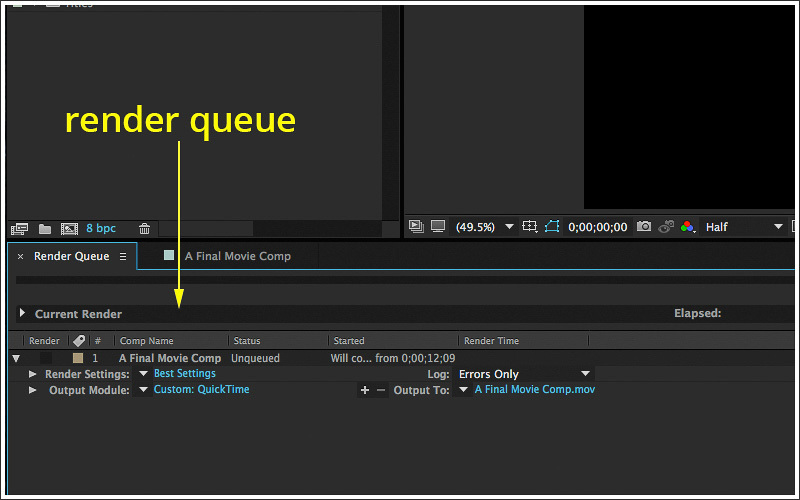 First, make sure you have your final composition open and selected in your window prior to going to Composition > Add to Render Queue. Once you click this, you will be taken to a new section of the export preferences panel. The graphic below shows you the information for each area of the queue. In this area there are 3 main data points to modify prior to hitting render. 1. Render Settings: By selecting the highlighted letters (Best Settings) you can go in and adjust some information, such as the duration of your comp, where you want the rendering to start and finish, and the resolution type. The other settings are advanced. 2. Output Module: The most important part of rendering is the output module; from here you can control virtually everything. You will need to experiment a little, based on what your final project/movie should be played on, but the best settings for HD quality video is 1920×1080, unless you are using 4K video then you will need to set your resolution much higher to match your video quality, Your initial format should be (QuickTime for MAC) or (Windows Media Video for PC), you can also add format options to your video which are compression settings. For HD TV quality video, I suggest you render your movie full size and uncompressed, however you can easily adjust the formatting of your video to get the right compression without losing video quality. 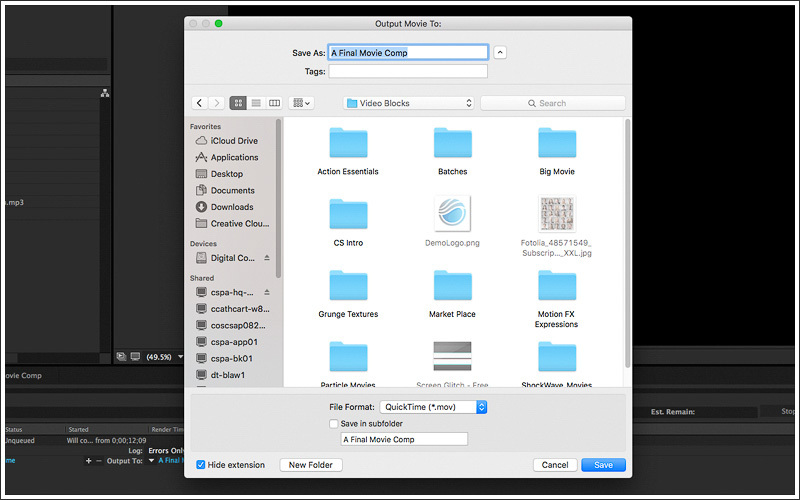 When using a MAC I like to compress using H.264 and when using a PC, I use animation or Photo-JPEG with 90-100% quality depending on if you need to reduce file size. 3. Output To: This is where your movie will be created, so pick a location on your machine, not on a USB drive/stick. Your movie will normally be anywhere from 100mb on upwards toward 5GB or more. You really need to choose a space that has adequate RAM and processing speed to render out your movie, or you’ll get errors instantly. Once you have selected your desired location you can hit render and watch your movie play out frame by frame in front of you. Or you can take a break and come back when it’s done. You should see the estimated time of completion after it renders out around 10 frames. Once you have all your settings adjusted correctly and your output location created, hit render. 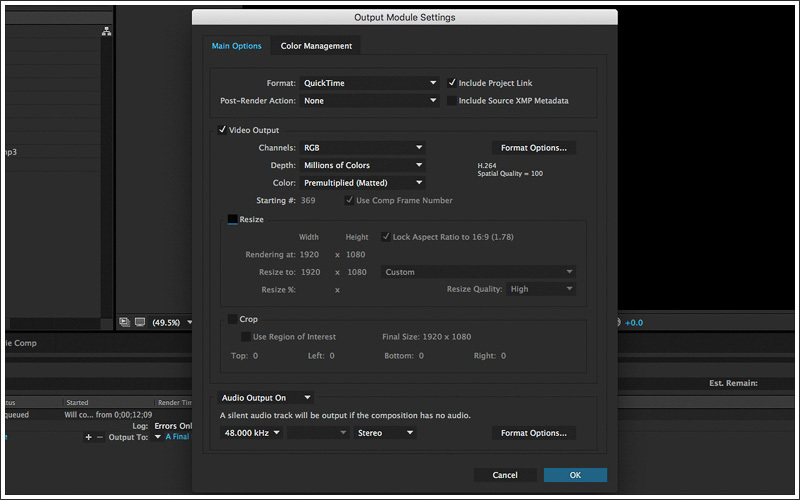 Your final comps will begin to render frame by frame and you will hear a beep when the render is complete. The status bar will continue across the screen, allowing you to see how far along the rendering is. Pay attention to your movie from time to time to make sure there are not any errors inside your comps. Ready to get started creating in After Effects? Check out our library of customizable, royalty-free After Effects library for a headstart.